This project will gather and present Sahtú Dene and Métis traditional knowledge about the Species At Risk Act (SARA)-listed wolverine (western population, special concern) and its habitat. The project will include interviews and outreach in all five Sahtú communities (Tulita, Délı̨nę, Fort Good Hope, Colville Lake, and Norman Wells). 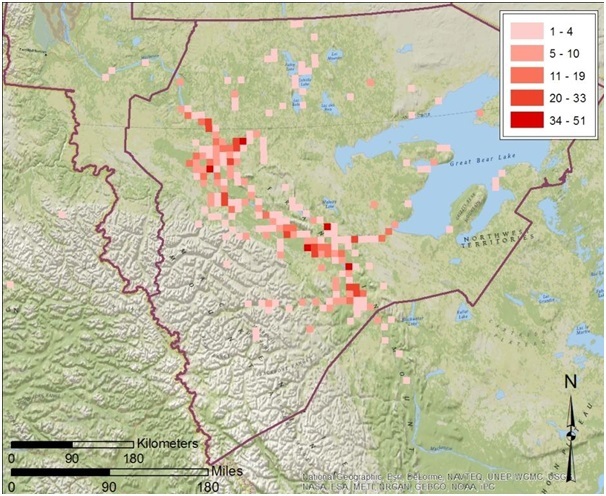 Areas of increased shale oil prospecting south of the Mackenzie River will be of particular importance as habitat fragmentation and habitat alienation are of great concern in these areas. Wolverine threats which may be better understood include biological factors (low rate of increase and low density), harvest and predator control programs (wolf culling), and habitat threats (loss, alienation, fragmentation). A draft report will serve as a spring-board for the education/outreach activities with students and Elders working together to spread awareness about wolverine as a species at risk component in Phase 2. 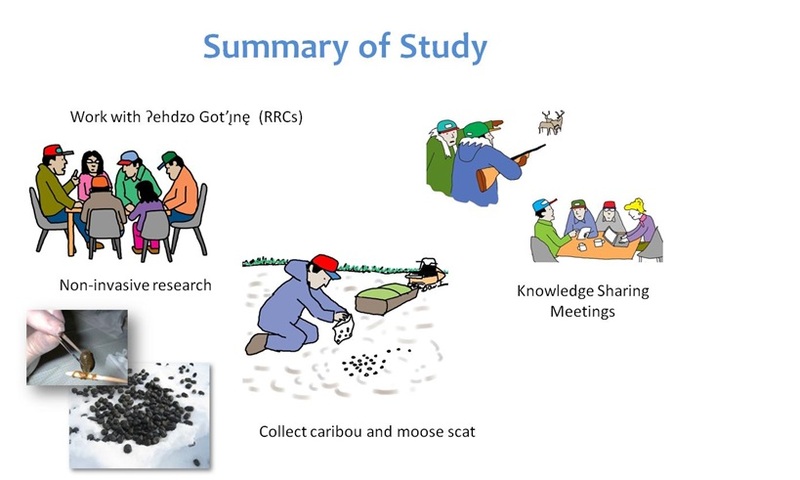 Project outcomes will include a TK report on wolverine available for SAR processes, and an increased awareness of both wolverine and about the importance of species at risk processes in the NWT. This project therefore meets the expected result of helping to gather and conserve ATK and strengthening capacity in Aboriginal communities for SARA implementation. Traditional Knowledge Research Guidelines will be developed for the Sahtú Regions that are based on community experiences and perspectives, and industry and communities requests to have guidelines that identify best practices in TK research in the Sahtú Region in place as soon as possible. The guidelines will assist with understanding, and will be prepared in a way that is accessible for communities and at the same time useful for visiting researchers. To ensure community researchers assist with the content of the TK research guidelines. To discuss, verify and establish consensus with the Sahtú ERM Forum on the TK research guidelines.